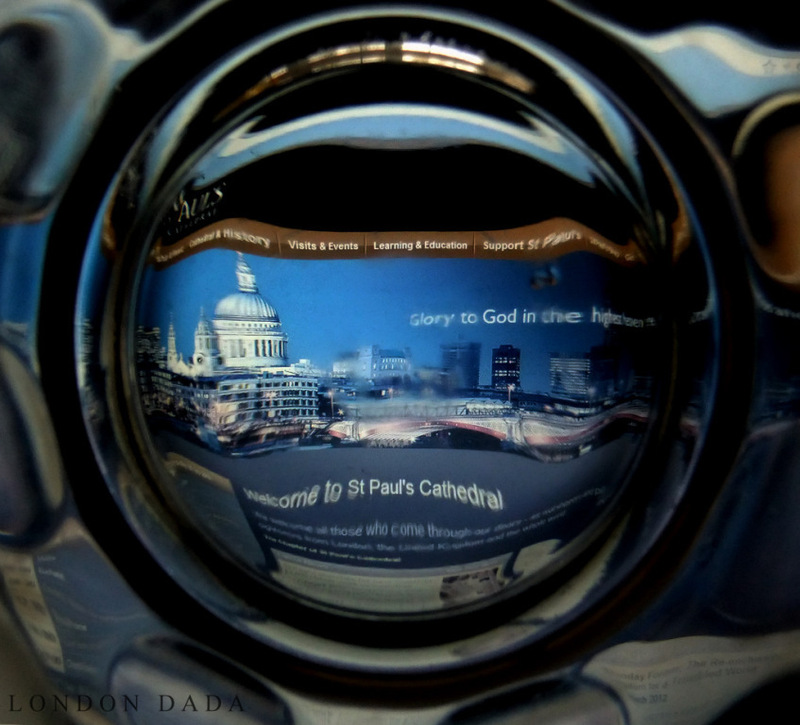 ( London Dada moral perception-protest work, featuring St Paul’s Cathedral website homepage photographed through a spirits tumbler. 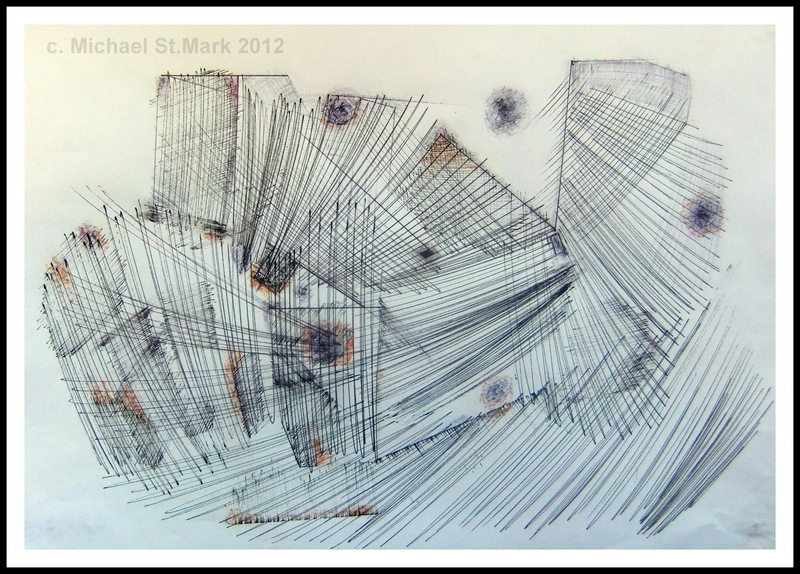 Available as one only signed & dated Giclee print on archival quality paper, 12″X12″ £ 270 – sale proceeds to Occupy London . St Paul’s Cathedral last night with Cameron’s OTT control goons in charge… whatever would JC have said – as he turned on his cross. Through a glass darkly meaning. * Artist’s note. Conspicuous by their absence, perhaps in “holy communion” with themselves… any of St.Paul’s pampered clergy defending even the people who were there to pray, from being dragged down the steps by riot police. It seems to be more than these ecclesiastical wind bags’ pristine white collar jobs are worth, to be seen acting like a good Christian, preferring it seems to talk the Good Samaritan. It surely would have only taken one true Christian from their midst to take a stand with the Occupy protesters, to greatly boost the anti-corporate greed movement, not to mention enhance massively public esteem for the church and the christian community generally worldwide. But not a single person from St.Pauls or the church generally has the courage of their convictions. Produced the following year after Through a Glass Darkly ( above) by M. St.Mark, employing first use in art of image-distortion by means of viewing through the bottom ( npi ) of a drinks glass. The large glass-fronted London Dada Galerie 691 Shoreditch, displaying Through a Glass Darkly is but a short distance from the home of the two artists and from where they often sally forth on Sunday afternoon in-tandem walkabouts, documenting life in E. London..
CLINIQUE @ John Lewis. Click to enlarge. Link to the ongoing Michael St.Mark vs. Wolff Olins/LOGOC Olympic logo copyright infringement claim info page. Anyone from Wolff Olins or LOGOC with inside info’ please contact. 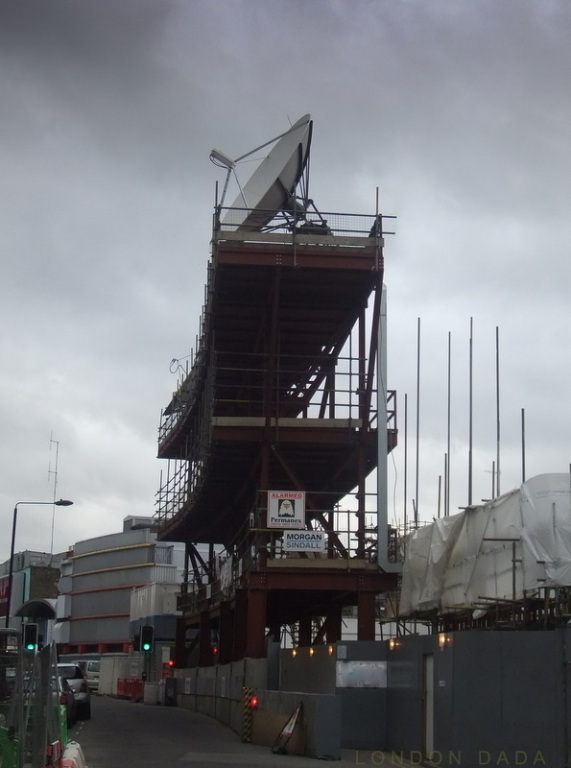 TVam studio / office construction site, Camden. Futuristic narrative on the ever-increasing volume and range of digital data streaming into our daily lives, which nonetheless remain strangely vacant and devoid of a sense of substance, being or inner security. The incredible satellite dish (one of two) dominating the skyline and belittling the steel girder skeleton of its new build support, struck the eye as interestingly unusual and in an as then ( Dec ’11 ) vague sense promising some kind of sinister potential along social commentary lines; the image and its long deliberated-over title eventually coalescing. The pic is cropped and altered in Picasa Pro by applying a top-down graduated tint to give the sky ( direction from which the infotainment stream arrives ) a resonatingly appropriate ominous feel. Print size & signed edition details t.f. 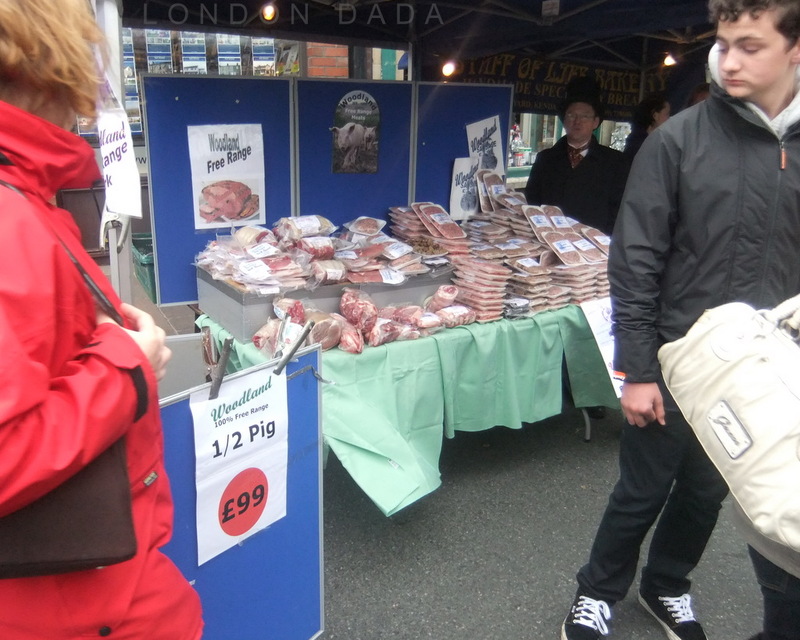 The stallholder, it emerges after a brief exchange, keeps his very own local organic pig farm. His proud boast “my pigs enjoy a happy life outdoors ” impresses, then at his invitation to “try some rashers?” , we mention thanks-but-no-thanks, we’re vegetarian. Definitely need to get out ( of this dreary & miserable little packed-out car-crammed run-down dumbed-down island ) more. They say as you get older your mind tends to regress back into youth – my full-of-wonder student daze of technical drawing and graphic design flights of fancy seem to be making a comeback here at a cluttered St.Mark towers. It’s a total delight knocking this stuff out – like enjoying a healthy al fresco meal with fine wine. Cathartic too.